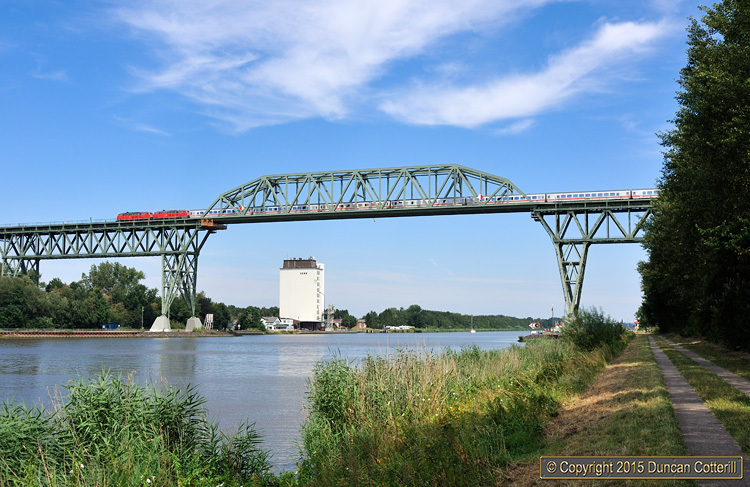 It's difficult to capture the scale of the bridge over the Nord-Ostsee Kanal (Kiel Canal) at Hochdonn without losing sight of the train altogether. An unidentified pair of 218s headed west across the bridge with IC2072, the 06:04 Dresden - Westerland service on 24 July 2014. This picture only shows a small section of the 2218m long structure.